There were significant increases in prices of fancy blue diamonds, offset by continued softness in fancy yellow diamonds and stagnation in fancy pink diamond prices, the FCRF said. The Fancy Color Diamond Index in Q4 2017 indicates an overall rise of 0.1% over Q3 2017 for fancy yellow, pink and blue diamonds in all sizes and saturations. Continuing the trend throughout 2017, prices of fancy blue color diamonds in Q4 increased 2.6%, with fancy intense and fancy vivid blues performing best, especially in the 1 carat and 5 carat categories. During the same period, fancy pink and yellow diamond prices declined slightly by 0.4% and 0.6%, respectively. For the fancy yellow color category, the overall 2017 results indicate stabilization following a 2016 decline of 4.0%. On a year-on-year basis, when compared to Q4 2016, the Fancy Color Diamond Index increased by 0.1%, with fancy blue prices up 5.9% and fancy yellow and pink prices down by 1.8% and 0.8%, respectively. In Q4, white diamonds performed relatively better than fancy colored diamonds, with the RAPI™ showing prices of 0.3 carat, 0.5 carat and 1 carat diamonds rising in December 2017 over the first three quarters of 2017. 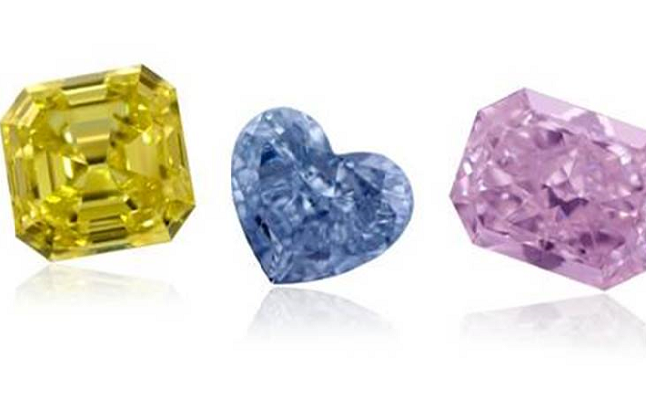 The Fancy Color Diamond Index is published by the non-profit Fancy Color Research Foundation (FCRF), and tracks pricing data for yellow, pink and blue fancy color diamonds in three key global trading centers – Hong Kong, New York and Tel Aviv.